Of all fear, the ocean vast of Bliss. A beautiful quote, thank you. What other thing is there to know? On which are strung together various thoughts. Questing within, enquiring â€˜Who am I ? The Self shines of its own accord. This stillness, this abode of Bliss. This Stillness, Life Eternal, is the Abode of Bliss Supreme. Annamalai appears as my own Self. True, Grace is needed; Love is added. Grace of the Master, Love of the seeker, Bliss wells up. Heart, is the state of grace. Who is the youthful guru beneath the banyan tree ? Very old are the pupils who seek him. The handsome teacherâ€™s speech is silence. Cleared are all the pupilsâ€™ doubts. Speech. Gone are the doubts in the pupilsâ€™ minds. Sri Bhagwan says that unless one holds on to the Divine Power present within every one, the Consciousness of the Self, one cannot discard thoughts and attributes. Sri A.R. Natarajan , in his â€˜ The Living Guruâ€™ has included a conversation that Sri Viswanatha Swami had with Sri Bhagwan. Sri Viswanatha Swami : How am I to rise above my present animal existence ? My own efforts in that direction have proved futile. I am convinced that it is only a superior might that could transform me. Sri Bhagwan : Yes, you are right. It is only on this awakening of a power mightier than the senses and the mind that these can be subdued. If you awaken to and nurture the growth of this power within you everything else will be conquered. We are all linked to the Power within but for which we cannot function at all. So, Sri Bhagwan emphasises to look within for tapping this divine power, nurturing its growth, and channeling it for oneâ€™s sadhana. It is thus plain that the purpose of the intellect is to realize its own dependence upon the Higher Power and its inability to reach the same. So it must annihilate itself before the goal is reached. Intellect cannot itself reach the Power that lights it. Intellect is only an instrument of the Self. That which is beyond it cannot be known by it. This conclusion we must reach by discrimination and Vichara. We must understand that intellect is the instrument wherewith to know the empirical things. But Sri Bhagwan says that I am already known, being the Self which is Itself Pure Knowledge. Therefore, how can I be object of knowledge being Myself the Eternal Subject ? Sri Bhagwan says that the intellect only enables to see and know things external to me, things outside myself, and not that which is its own source. Yes, thus far, to that extent, the intellect is certainly useful. After all, it helps to analyse ourselves, and no further. Whose is the intellect ? For whom the mind or intellect functions ? dies. This is the death of ego, due to Guru's grace and gaze. The power of God, well-known in the world as Grace, has three forms, namely as God, the Supreme Being, as the Holy Guru and as the Real Self in the Supreme State. Sri Sarma comments that devotion to God leads one to the finding of the Guru who is none other than God Himself. Devotion to the Guru leads up to the true awareness of the Self, who is God Himself. Dear sir, Guru is the Self. Therefore, the Gaze of the Guru is the Gaze of the Self, although the Self Itself does not gaze. This gaze of the Guru is certain to awaken the devotee from the deep slumber in which he has fallen from the time immemorial, just as the elephant is awakened with a start by seeing a lion in the dream. The Gaze of the Guru is the realization of the Grace. There are three interpretations for this verse. 1. Eye of the eye you are, and without eyes you see. Who can see You, O Arunachala! 2. You are the sight within the eye, and without eyes, You see. Who can see You but Yourself, O Arunachala! See wherefrom thought arises. It is the mind. See for whom the mind and intellect functions. For the ego. Merge the intellect in the ego and seek the source of the ego. Devotee : I mean when the spirit is disembodied, does it carry intellect with it ? Sri Bhagwan : Spirit is not disembodied. The bodies differ. It may not be a gross body. It will then be a subtle body, as in sleep, dream or day-dream. Intellect does not alter; the bodies may differ according to circumstances. 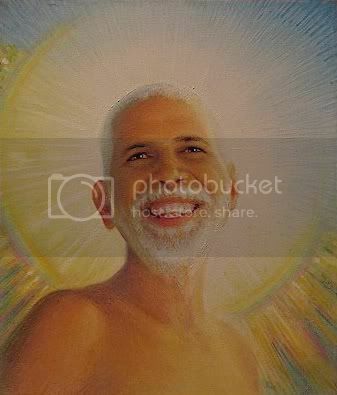 Devotee : The spirit-body is astral body then ? Sri Bhagwan : The intellect is the astral body now . Devotee: How can it be ? Sri Bhagwan : Why not ? You seem to think that the intellect cannot be limited like a body. It is an aggregate of certain factors. What else is the astral body ? Devotee : But the intellect is a sheath ? Sri Bhagwan : Yes. Without intellect no sheath is cognised. Who says that there are five sheaths ? Is it not the intellect that declares thus ? Therefore, intellect is a sheath or the astral body which cognises other sheaths. Intellect being astral body, it is an aggregate of certain factors. What are these certain factors ? Samskaras. Impressions. What are they ? Non-Self. They all are eventually reduced to thoughts. What are they all ? thoughts and only thoughts. See for whom thoughts arise ? For whom the mind and intellect function ? Who can ever find Thee ? Who but (Thyself) can find Thee, Oh Arunachala ! Thank you so much for a very apt reminder. Is it true silence to rest like a stone inert and unexpansive , Oh Arunachala ? One art Thou without a second; Who then could dare elude Thee and come in ? This is only Thy jugglery, Oh Arunachala ! In silence Thou saidst, â€˜Stay silentâ€™ and Thyself stoodst silent, Oh Arunachala ! Shine as my Guru, making me free from faults and worthy of Thy Grace, Oh Arunachala ! I am a simpleton devoid of learning. Do thou dispel my illusion, Oh Arunachala ! Unless Thou extend Thy hand of grace in mercy and embrace me, I am lost, Oh Arunachala ! Verse 19 of Sri AAMM: O Arunachala, You who stand and shine before me in the form of my Guru, destroy utterly my faults, cure me and convert me, and as Your servant govern me! You are. Do with me what You will. Only, only give me ever increasing love for Your twin feet. Thank you so much sir for a very nice post. Ji. Yes. Grace is the primary and essential cause in matter spiritual. As Sri Bhagwan has said, one cannot acquire dispassion, nor learn and walk the path, nor can realize the Truth, and nor can inhere in the Self, in the absence of the Guruâ€™s Grace. Realization is due to the Guruâ€™s Grace more than teachings, lectures, discussion, meditation etc. These are at best secondary. Sri Arunachala appeared as a Great Column of Blazing Fire. The Great Lord took the form of the Hill, out of compassion, in response to the prayer of the Great Gods, Sri Brahma and Sri Vishnu. Again, He compassionately took Human Form so that mortals are not misled by the Insentient Form of the Hill. Bhagwan Guru Sri Ramana is the Human Embodiment of Sri Arunachala and His Compassion. Lending sharpness to my sight and directing my gaze to His Holy Feet it kept me close by His side, the Grace of my Lord. It will manifest in all its grandeur to aid and comfort His devoted followers whenever some affliction befalls them. It is the Grace of my Lord who, with a most captivating appearance, placed His Feet upon the earth, approached and became my Master. Yes. He is always there without fail to guide and give strength whenever His loving and adoring devotees falter. Devotee : Yes. But some find water readily and others with difiiculty.